The Bosch JS572EK Top-Handle Jig Saw provides excellent cut precision, thanks to the innovative Precision Control II double-roller system. This construction minimizes blade deflection for true, exact cuts. Woodworkers and kitchen and bath installers are among the many user groups that will appreciate the best-in-class 7.2-amp motor and variable-speed control. This jig saw is an excellent choice for curve-cutting and scallop-cutting and other cuts in a wide array of materials. Built with an aluminum gearbox with an insulated cover, this jig saw has a state-of-the art counterbalancing mechanism for low vibration and Constant Response circuitry for consistent speed under load. It has a large die-cast aluminum footplate with tool-free adjustment for fast-and-easy bevel adjustments. It also has LED lighting and a dust blower for max cut-line visibility. The jig saw has a tool-less blade-change system. The multidirectional blade clamp provides superior grip of T-shank blades (Bosch jig saws do not accept U-shank blades). 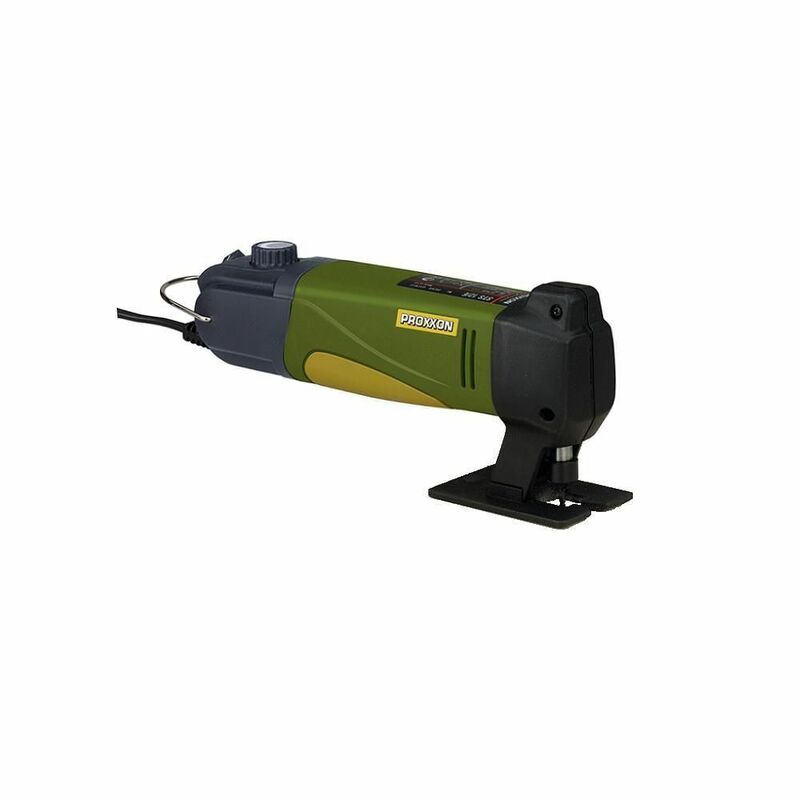 12V Jig Saw STS 12/E (Transformer Sold Separately) The Proxxon Jig Saw STS 12/E offers fantastic cutting capacity with a balled foot or flat footplate. The full wave electronic speed control allows for consistent power and cutting force throughout the variable speed control range. This tool is ideal for cutting tight curves in wood, non-ferrous metals, and plastics including round surfaces. 12V Jig Saw STS 12/E (Transformer Sold Separately) is rated 4.0 out of 5 by 4.